Yesterday, Queen Elizabeth II viewed a new portrait at Windsor Castle, which was commissioned by the RAF Regiment (The Royal Air Force Regiment) to celebrate its 75th anniversary. The RAF Regiment commissioned artist Stuart Brown to paint a portrait of The Queen who is Air Commodore in Chief of the RAF Regiment. The portrait shows The Queen in the White Drawing Room at Windsor Castle. 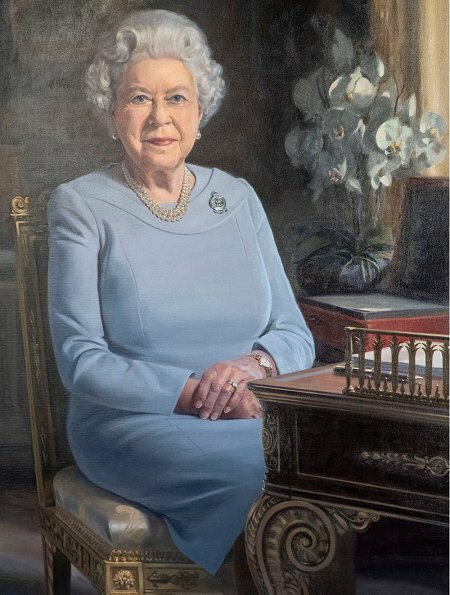 In the portrait, The Queen is wearing a brooch presented to her by the RAF Regiment, which shows the Astral Crown and crossed Lee Enfield rifles. 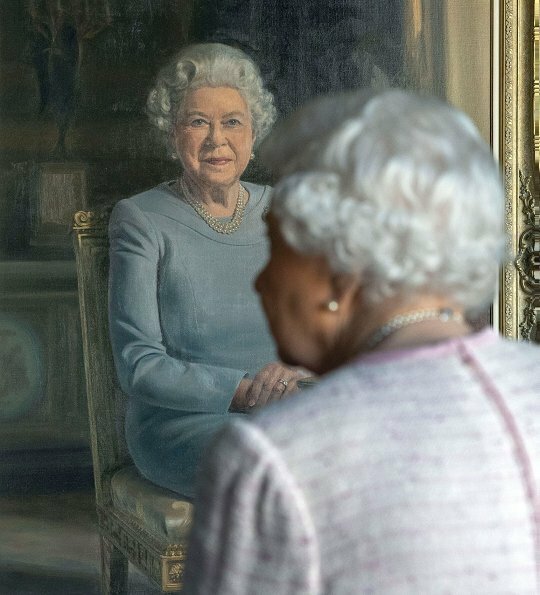 The portrait is beautiful and Her Majesty is always magnificent! Her Majesty the Queen is looking good in real live, no question. This portrait does not represent the Queen, unfortunately. 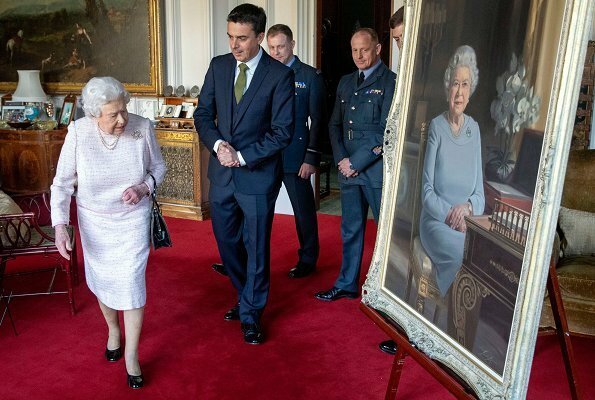 Lovely appearance by the Queen and I think the portrait is great - it really looks like Her Majesty. Right now the portrait is on an easel and angled away from the viewer. When it is hung properly on the wall, it will look great. A good likeness. I don't understand your comment - it's a painting of the Queen. Is there a distinction in Spanish that I'm not understanding? Prachtig portret van een prachtige dame. Good portrait of a strong woman. Oops, I thought so as well. I do not like the portrait. Can't put my finger on it but it looks like it's not really balanced in the body parts. The head seems so big... I might be wrong but this is what I think about it. I like the portrait as well. She even has a small smile. This portrait of the Queen is very lifelike. She looks wonderful as ever. One of the best portraits, IMHO. I love the way the artist has captured the Queen's discrete smile.